These are mentioned for Midland Main Line services to Corby. In 2020, the route between London and Corby will have been improved. It will be fully electrified. There will be double-track between Kettering and Corby. Corby station will have a second platform. 125 mph running will be possible in sections of the route between London and Corby. Twelve-car trains indicate, that the rolling stock would be modern electric multiple units. Class 387 trains, which are capable of 110 mph. Class 379 trains, which are capable of 100 mph. Class 350 trains, which are capable of 110 mph. To run the current hourly service, three trains are needed, so if each train was three four-car electric multiple units, nine trains would be needed. As these electric trains will need to mix it with the 125 mph trains on the fast lines brtween St. Pancras and Kettering, 110 mph trains would probably be preferable. Class 387 trains were originally mooted for this route, but they all seem to have been snapped up by other operators, who may be reluctant to let them go. The two other possible trains are used in Abellio-run franchises. ,Abellio Greater Anglia are replacing their thirty Class 379 trains with new Stadler Class 745 trains in 2019. 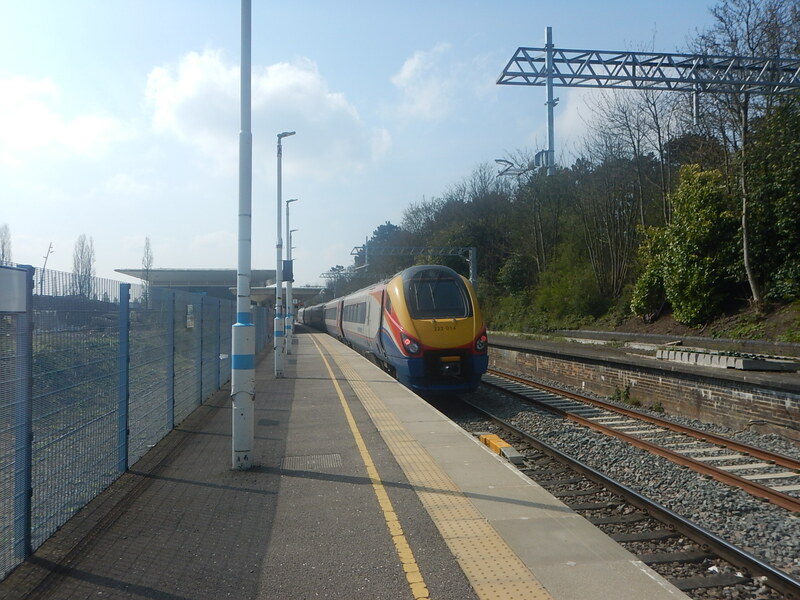 West Midlands Trains have a large fleet of Class 350 trains. As the Class 379 trains should be available in good time for a December 2020 service introduction, I would suspect that these ten-year-old trains, are the most likely to be used on the route. Do Bombardier have the knowledge and time to upgrade the trains to 110 mph trains? There is certainly time to upgrade the trains with any necessary refurbishments and updates. Train availability could allow prolonged testing and driver training, prior to service introduction. Only three new Class 745 trains would need to be in service for Greater Anglia to release the nine trains required to run an electric service between London and Corby. If Class 379 trains are used, it could be a very relaxed train introduction. Class 379 trains to Corby could explain, why Abellio Greater Anglia are introducing the Class 745 trains on Cambridge and Stansted Airport services before those on the Great Eastern Main Line. There could be over a year, to turn the excellent Class 379 trains into perfect trains for a high-capacity London and Corby service. I think using Class 387 and Class 350 trains wouldn’t be so simple. This would mean the need would be eighteen four-car trains. There are enough Class 379 trains, but obtaining the originally-planned Class 387 trains could be problematic. Luton station is on the latest list of stations to be made step-free by 2024. Luton Airport has been agitating for more fast trains to and from London and now gets a half-hourly express. Class 379 trains are designed for airport services. It appears to be a better service for passengers. What more could passengers want? Many of these features are already installed in the Class 379 trains. When I rode the BEMU Trial train between Maningtree and Harwich, the information on the Class 379 train was word perfect. The trains are reliable and comfortable. Wi-fii, power sockets, air-conditioning and increased luggage space are already fitted. The trains have lots of tables, but not at every seat. Updating the trains would not be a major problem. Will The Class 379 Trains Be Fitted With Batteries? The BEMU Trial in 2015, showed that this was feasible. Abellio was involved in this trial and must have therir own views on the technology. Regenerative braking can be handled on the train without using the overhead wires for return currents. This picture shows, the wires are going up at Corby. So it doesn’t look like battery power will be used to Corby. But batteries could still be fitted for efficiency and safety reasons or possibly to power the trains to Oakham and Melton Mowbray. I’m fairly certain, that services between London and Corby will be run by refurbished Class 379 trains. As there is plenty of time before service introduction, this could be a very relaxed and painless introduction of new trains. Unlike some others recently. There may even be time to upgrade the top speed of the trains, so they fit in better with East Midlands Railway’s 125 mph expresses. The pictures show First Class, is as good as anything in Europe. 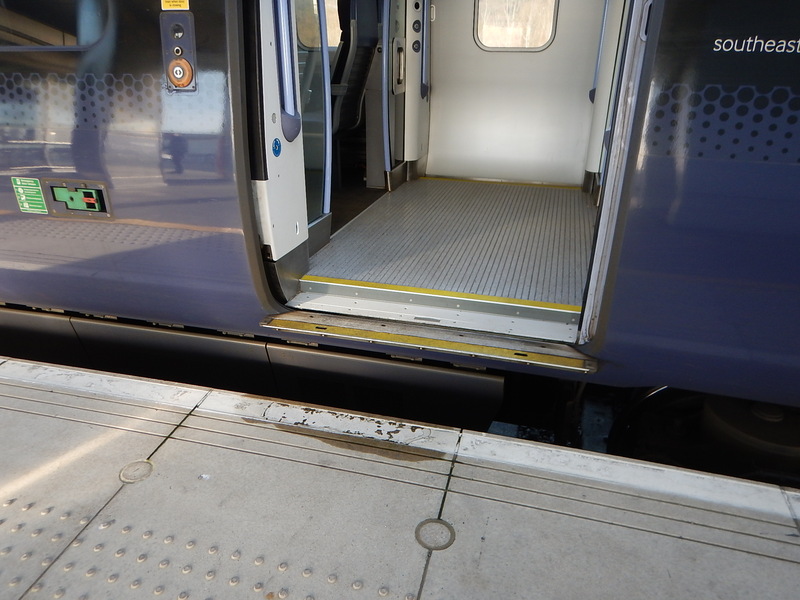 The only thing worse, than Eurostar’s latest Class 374 trains is the space, which is due to our smaller loading gauge. This article on Railway Gazette is entitled Bimode And Hydrogen Trains As Abellio Wins Next East Midlands Franchise. Abellio will be taking over the franchise in August this year and although bi-mode trains were certain to be introduced in a couple of years, the trialling of hydrogen-powered trains is a surprise to me and possibly others. This is all that is said in the article. It also says, that the new fleet will not be announced until the orders are finalised. 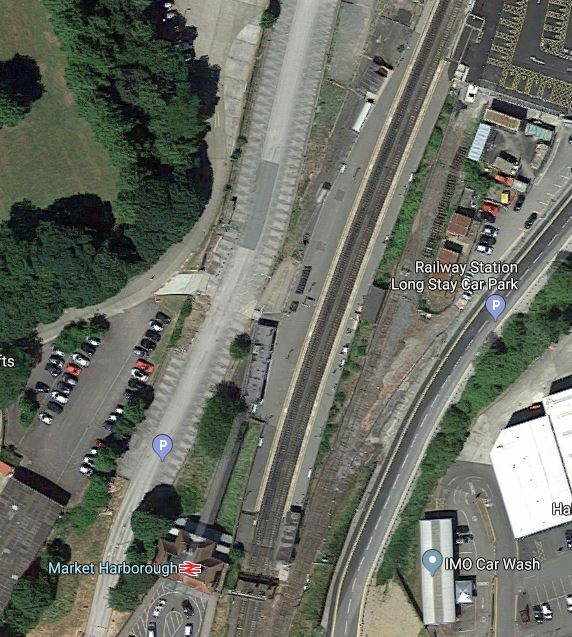 In this post, I’m assuming that the hydrogen trial will be performed using the main line trains. Ability to go at up to 140 mph, when idigital n-cab signalling is installed and the track is improved. Ability to run on hydrogen at a future date. I think there could be three types of train. A traditional bi-mode multiple unit, with underfloor engines like the Hitachi Class 800 series, is obviously a possibility. An electrical multiple unit, where one driving car is replaced by a bi-mode locomotive with appropriate power. Stadler or another manufacturer might opt for a train with a power pack in the middle. The second option would effectively be a modern InterCity 225. South of Kettering, electricity would be used. Hydrogen power could replace diesel power at some future date. Design could probably make the two cabs and their driving desks identical. The locomotive would be interchangeable with a driver car. Bi-modes would work most services, with electric versions working to Corby at 125 mph. Which manufacturer has a design for a 125 mph, hydrogen-powered train? Alstom have no 125 mph UK multiple unit and their Class 321 Hydogen train, is certainly not a 125 mph train and probably will still be under development. In Mathematics Of A Bi-Mode Aventra With Batteries, I compared diesel and hydrogen-power on bi-mode Aventras and felt that hydrogen could be feasible. In that post, I wrote a section called Diesel Or Hydrogen Power?, where I said this. So are Bombardier designing the Bi-Mode Aventra With Batteries, so that at a later date it can be changed from diesel to hydrogen power? All an Aventra needs to run is electricity and the train, the onboard staff and passengers don’t care whether it comes from overhead wires, third-rail, batteries, diesel or hydrogen. Bombardier also have the technology for my proposed locomotive-based solution, where one driver-car of an Aventra is replaced by what is effectively a locomotive. If Bombardier have a problem, it is that they have no small diesel train to replace Abellio’s small diesel trains. Could the longer services use the bi-mode Aventras and the shorter ones Aventras with battery power? CAF probably have the technology, but there would be a lot of development work to do. Hitachi have the bi-mode trains in the Class 802 trains, but haven’t as yet disclosed a hydrogen train. They’ve made a few noises, but I can’t see them producing a bi-mode train for 2022. In a few weeks time, I will be having a ride in a Stadler-built Class 755 train, run by Abellio Greater Anglia. The Class 755 train is a bi-mode 100 mph train, from Stadler’s Flirt family. Could it be stretched to a 125 mph train? Stadler have built 125 mph electric Flirts. It is my view, that Stadler have the knowledge to make 125 mph trains work. Flirts are available in any reasonable length. I’ve read that bi-mode and electric Flirts are very similar for drivers and operators. These could work the Midland Main Line. If the mainline version is possible, then Abellio could replace all their smaller diesel trains with appropriate Class 755 trains, just as they will be doing in East Anglia. Stadler with the launch of the Class 93 locomotive, certainly have the technology for a locomotive-based solution. East Midlands Railway would be an all-Stadler Flirt fleet. As to hydrogen, Stadler are supplying hydrogen-powered trains for the Zillertalbahn, as I wrote in Zillertalbahn Orders Stadler Hydrogen-Powered Trains. Talgo could be the joker in the pack. They have the technology to build 125 mph bi-mode trains and are building a factory in Scotland. I think it comes down to a straight choice between Bombardier and Stadler. It should also be noted, that Abellio has bought large fleets from both manufacturers for their franchises in the UK. This promise is stated in the franchise. Once the electrification reaches Market Harborough in a couple of years, with new bi-mode trains, running on electricity, the following stations will not see any passenger trains, running their diesel engines. These are not pilots, as they have been planned to happen, since the go-ahead for the wires to Market Harborough. Other main line stations include. Could these stations be ones, where East Midlands Railway will not be emitting any CO2? For a bi-mode train to be compliant, it must be able to pass through the station using battery power alone. As the train decelerates, it charges the onboard batteries, using regernerative braking. Battery power is used whilst the train is in the station. Battery power is used to take the train out of the station. Diesel power would only be used well outside of stations. How would the trains for the secondary routes be emission-friendly? For the long Norwich to Derby and Nottingham to Liverpool routes, these would surely be run by shorter versions of the main line trains. For Stadler, if secondary routes were to be run using Class 755 trains, the battery option would be added, so that there was no need to run the diesel engines in stations. For Bombardier, they may offer battery Aventras or shortened bi-modes for the secondary routes, which could also be emission-free in stations. There is also the joker of Porterbrook’s battery-enhaced Class 350 train or BatteryFLEX. I think that with the right rolling-stock, East Midlands Railway, could be able to avoid running diesel engines in all the stations, where they call. Why Are Abellio Running A Hydrogen Trial? This is a question that some might will ask, so I’m adding a few reasons. I think that it could be likely, that a train manufacturer wants to trial a hydrogen-powered variant of a high-speed train. The Midland Main Line is about 160 miles long. A lot of the route is quadruple-track. It is a 125 mph railway for a proportion of the route. It has only a few stops. It is reasonably straight with gentle curves. Part of the route is electrified. It is connected to London at one end. In my view the Midland Main Line is an ideal test track for bi-mode high speed trains. If a train manufacturer said to Abellio, that the fleet of diesel bi-mode trains they are buying could be updated to zero-carbon hydrogen bi-modes in a few years, this could clinch the sale. Helping with a trial, as Abellio did at Manningtree with Bombardier’s battery Class 379 train in 2015, is probably mutually-beneficial. I believe that the Midland Main Line will never be fully-electrified. The line North of Derby runs through the Derwent Valley Mills World Heritage Site. Would UNESCO allow electrification? I have been told by drivers, that immediately South of Leicester station, there is a section, that would be very difficult to electrify. Some secondary routes like Corby to Leicester via Oakham might be left without electrification. But on the other hand some sections will almost certainly be electrified. Around Toton, where High Speed Two crosses the Midland Main Line and the two routes will share East Midlands Hub station. Between Clay Cross Junction and Sheffield, where the route will be shared with the Sheffield Spur of High Speed Two. The Erewash Valley Line, if High Speed Two trains use that route to Sheffield. It is my view, that to run after 2040, there are only two current methods of zero-carbon propulsion; on the sections without overhead electrification battery or hydrogen power. So we should run trials for both! Abellio is Dutch and after my trip to the Netherlands last week, I wrote The Dutch Plan For Hydrogen, which describes how the Dutch are developing a green hydrogen economy, where the hydrogen is produced by electricity generated from wind power. So by helping with the trial of hydrogen bi-mode trains on the Midland Main Line, are Abellio increasing their knowledge of the strengths and weaknesses of hydrogen-powered trains. In Thoughts On Eurostar To North Netherlands And North West Germany, I proposed running bi-mode trains on the partially-electrified route between Amsterdam and Hamburg via Groningen and Bremen, which would be timed to connect to Eurostar’s services between London and Amsterdam. These could use diesel, hydrogen or battery power on the sections without electrification. If hydrogen or battery power were to be used on the European bi-mode train, It would be possible to go between Sheffield and Hamburg on a zero-carbon basis, if all electric power to the route were to be provided from renewable sources. The Midland Main Line is a real high speed railway, where trains go at up to 125 mph between two major cities, that are one-hundred-and-sixty miles apart. Powered by hydrogen, this could be one of the world’s great railway journeys. If hydrogen-power is successful, Abellio’s bottom line would benefit. This franchise will be a big improvement in terms of carbon emissions. As I said the choice of trains probably lies between Bombardier and Stadler.